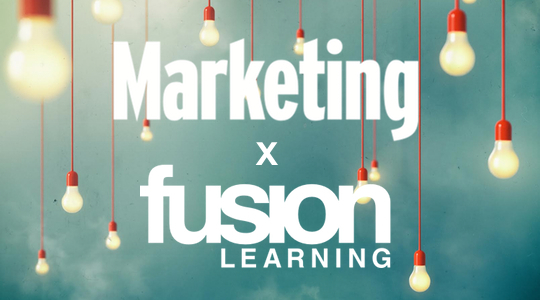 Marketing and Fusion Learning are today launching a research project examining the key strategic challenges facing marketers in Australia. Marketing and strategic brand consultancy Fusion Learning have partnered to conduct a research project examining the key strategic challenges currently facing marketers in Australia. Senior marketers in Australia are invited to participate in this important research. Your feedback will enable Marketing and Fusion Learning to pursue their common goal: building the capabilities of the country’s marketers and marketing teams. The survey questions have been developed after a first wave of research that comprised face-to-face interviews with senior marketers across categories and geographies. embedding customer-centric thinking across the business. Respondents will also have the opportunity to nominate additional challenges to those above. The results of this survey will be used to compile a report, as well as to develop a series of practical tools designed to help professional marketers overcome some of these challenges. Respondents will receive a complimentary copy of the report upon its release in the new year, as well as be entered into a prize draw where 10 respondents will receive a complimentary annual membership to Marketing Advantage, valued at AU$349, to upgrade their knowledge and capabilities on the key trends and challenges facing professional marketers. This survey should take no longer than 15 minutes of your time to complete. After the survey period ends, respondents will also have an opportunity to discuss the preliminary findings and the topics further in an online forum with peers. The survey will be open until Monday 7 December 2015.